Are You Ready For a Night Of Painting and Pinot? How About Some Wine Enhanced Art Entertainment? Looking for a girls night out or unforgettable first date? Painted. is the place to be! Join us for two hours of cocktails, creativity, music and social fun. Never picked up a paint brush before? Perfect! This art entertainment is for you! 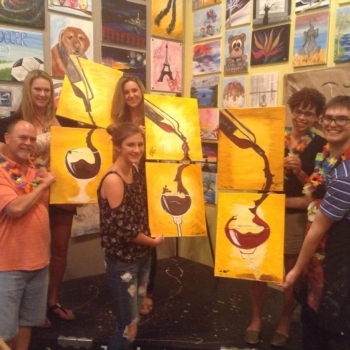 Let our instructor guide you step by step through recreating a masterpiece while you enjoy some of our local wines from Amador, Lodi, Sonoma & more! 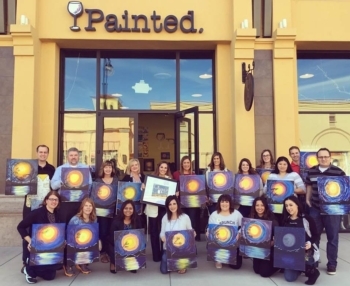 Have an Event to Celebrate at Painted? We host Kids Parties! Contact us for availability & package pricing. Have a large group? Book our venue for a Private Party! Inlcudes time & space for catering and celebrations.